Do not despair – if you missed the ordering frenzy, we have some very good news: Shunt has the go-ahead to manufacture a second, more standard edition for which we can start to take pre-orders immediately – so nobody will miss out. This new ‘red edition’ can be found now at the Recoil Official Store. The packaging will be slightly simpler – no digipack but instead a classic black case with alternative cover art, including the 16-page booklet packed with information and photo manipulations by Ákos Szénási. The disc contents will be exactly the same, featuring extra promotional films and live projections. All on-line orders will be dispatched (no sooner than July 21st) with an exclusive code to receive downloadable extras such as a PDF art booklet with extra spreads, a soundtrack sampler, Recoil ‘live’ photographs and project wallpapers. The concert film ‘A Strange Hour In Budapest’ is a full HD production, with DTS-HD 5.1 surround sound and stereo soundtrack mixed by Alan Wilder & Paul Kendall. 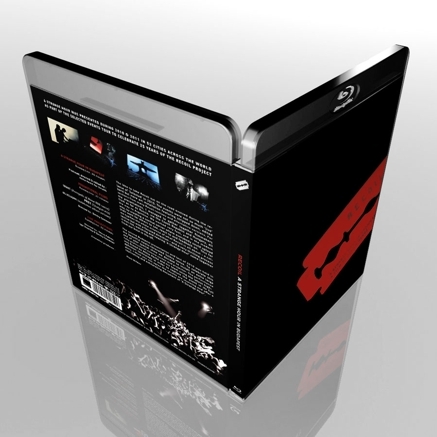 For full details about the release, formats, technical info, downloads, concert stills and more, please visit: www.bluray.recoil.co.uk. Says Alan: "I would really like to stress to all fans that this extra edition has been fast-tracked due to the unexpected level of demand. We now have to get these versions manfactured as quickly as possible – and we will. As ‘A Strange Hour In Budapest’ is a self-release, the Shunt team has been able to be react immediately under these circumstances. And thank you all for the birthday wishes!"